Italy is home to the oldest continuously inhabited Jewish community in Europe. The first Jews arrived from Judea after the destruction of the First Temple in 586 B.C.E., and thousands more joined them after the Second Temple was destroyed in 70 C.E. 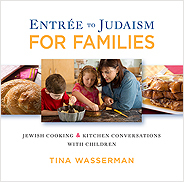 It was the next large wave of Jewish immigration to Italy—following the expulsion of Jews from Spain in 1492—that would set the culinary stage for most of what we know of traditional Italian Jewish cooking. Influenced by 700 years of Arab rule, Sephardic Jews made eggplant, artichokes, spinach (often with raisins), and rice cornerstones of their cuisine. And because of their trade connections in the New World, they introduced tomatoes, pumpkins, corn, and green beans to Italy. They also taught the Italians their custom of using oil instead of pork fat for frying. 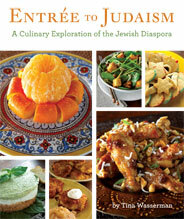 As in all Jewish communities, the holidays influenced local culinary traditions. To elevate a simple food like rice for the proper celebration of Shabbat, for example, the Jews would mix in sweet raisins or hearty spinach, or flavor the rice with the Spanish herb saffron, which imbued a golden color and a hearty aroma. And since cooking with fire was prohibited on the Sabbath, the Jews invented some dishes that could be cooked overnight, such as Hamin Toscano, a cholent-type stew that required slow cooking, and popularized cold salads made in advance of the sacred day, such as the now internationally renowned eggplant caponata. The recipes that follow link us to Roman Jewry. Enjoy—and eat in good health! Recipes such as this which combine mozzarella and anchovies are most strongly associated with the cooking of the Roman Jewish ghetto of the 17th century. Zucchini blossoms are popular today in Rome in summer and early fall, and high-end supermarkets in America usually carry them in late summer. Remove the stamen from inside the flower. Rinse the flower thoroughly and shake off excess water. Set aside. Combine the mozzarella with anchovy paste or fillets in a small processor work bowl. (If you don’t own a food processor, finely chop by hand with a large chef’s knife.) Using the metal blade, pulse the machine on and off until the cheese and anchovies are coarsely combined. Transfer the mixture to a 1-quart plastic bag. Pour 3⁄4 cup of flour into a 1-quart bowl. Gradually add up to 3⁄4 cup water, whisking constantly until you have a thick, creamy consistency. Add 1⁄4 teaspoon of salt and mix well. Set aside. Place 1⁄2 cup of flour in a shallow soup bowl. Cut a 1⁄4-inch hole in the corner of the 1-quart plastic bag and squeeze gently on the top of the bag until the mozzarella-anchovy mixture starts to extrude. Holding the tip of the bag just inside a zucchini blossom, squeeze approximately 1 Tablespoon of the cheese inside the blossom. Gently twist the open end of the blossom to keep it closed. Set aside. Continue this process with the remaining 11 zucchini blossoms. Heat about 1 inch of olive oil in a 2-quart saucepan or a 10-inch frying pan. Lightly coat each blossom with the flour in the shallow soup bowl, then dip into the flour/water batter so that the batter completely covers the blossom. Fry the blossoms in 3 or 4 small batches for approximately 3 minutes, until they’re golden brown and crisp. Drain on a paper towel and serve as is, or add warm marinara sauce. Serves 4–6. To make your coating adhere better to food, always dip the moist food in flour before coating with batter. The flour adheres to the food and the batter adheres to the flour, so it won’t slide off when placed in hot oil. This dish, a variation of the famous Insalata Caprese, is a melange of the summer’s freshest tomatoes, basil, and soft mozzarella. Caprese salad, associated with the island of Capri, was served in every Jewish restaurant I visited in Rome and Venice last fall. If you want a chunky sauce to adhere to pasta, choose shapes like macaroni or twists; the small particles of food in the sauce will stick better to shaped pasta than to long, smooth varieties. This recipe was originally prepared for sailors at sea because the sauce preserved the fish over long journeys. Jews on the Iberian peninsula invented the practice of frying foods in oil and then preserving them in a vinegar sauce in order to observe the Shabbat prohibition against using fire on the day of rest. Rinse the fish and pat dry. Season lightly with salt and pepper. Place the flour in a 1-gallon plastic bag and season with 1⁄2 teaspoon of salt and a few grindings of black pepper. Add 2 or 3 pieces of fish to the bag and toss until they’re completely coated. Remove them from the bag and repeat with the remaining fish. Heat a 10-inch skillet over high heat for 20 seconds. Add the olive oil and heat for an additional 10 seconds. Add the fish and fry until lightly golden brown on both sides (a total of 3 minutes per fillet or sardines and 4–5 minutes if using other small whole fish). Drain on a paper towel and then place the fish in a glass or porcelain casserole. Set aside to cool. Heat a sauté pan on high for 20 seconds. Add the olive oil and heat for 10 seconds. Reduce the heat slightly if the oil begins to smoke. Add the thinly sliced onions, sautéing until they’re soft and lightly golden. Pour in the vinegar, honey and saffron (if using), and raisins. Cook over moderate heat for approximately 5 minutes, until the mixture has reduced slightly. Lightly roast 1⁄4 cup of pine nuts in a 350°F oven for 4 minutes. Add them to the onion mixture, then remove the pan from the heat. When the onion mixture is warm to the touch, spoon over the fish. Either serve immediately or, for best flavoring, marinate in the refrigerator 1–2 days. Serves 3–4 people as a main dish or 4–6 as an appetizer. Taste your raisins before making dishes with raisins and honey. Honey may not be needed if the raisins are wonderfully sweet. 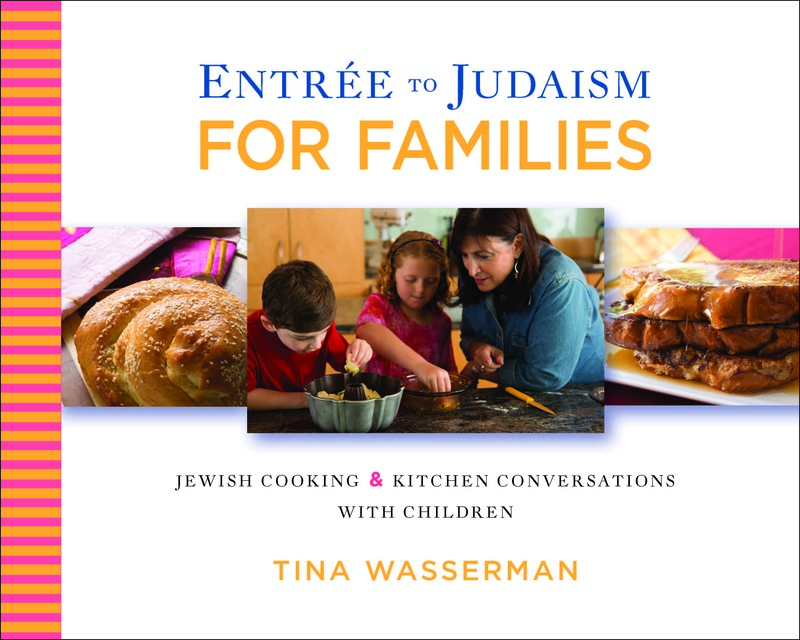 Tina D. Wasserman, a member of Temple Emanu-El in Dallas, teaches at her own cooking school, writes a kosher cooking news­letter on the Internet, and serves as a culinary scholar-in-residence throughout the U.S.